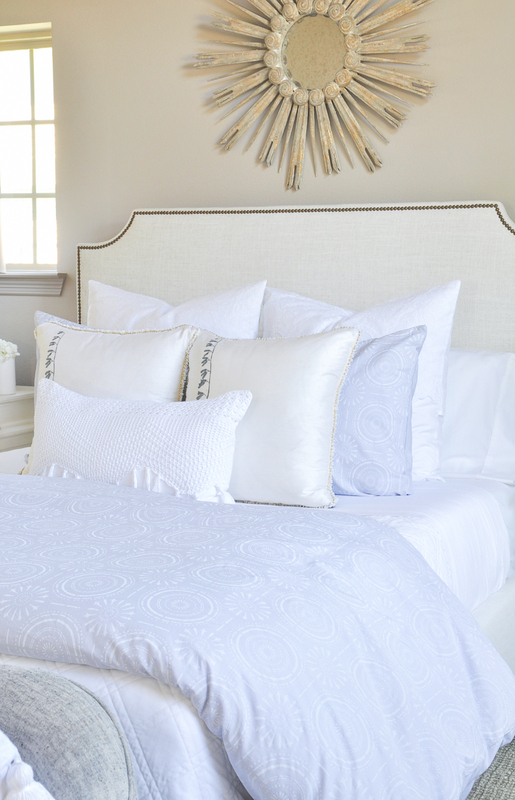 I have been passionate about beautiful bedding as long as I can remember. In more recent years, I have become very aware of how impactful having comfortable bedding is as well. 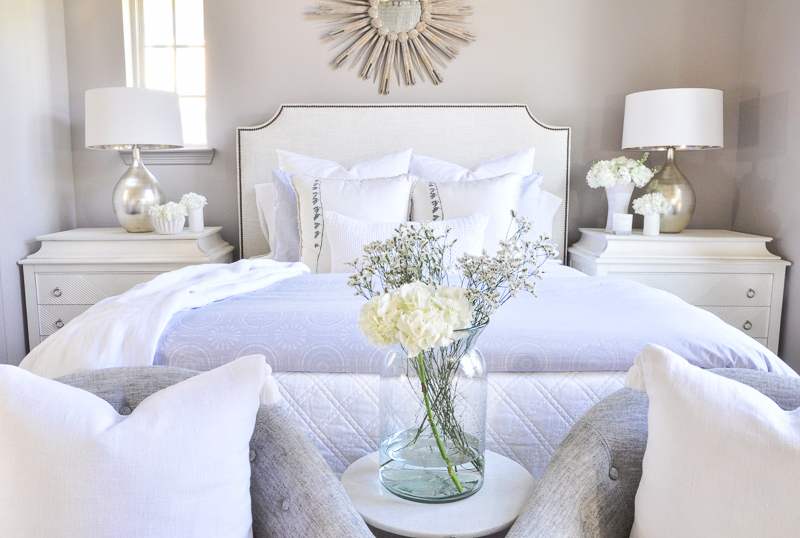 Today, I am partnering with Under the Canopy to share some comfortable and beautiful bedding must haves with you. While Under the Canopy is sponsoring this post, the opinions shared are 100% my own. Having a beautiful bed is amazing, but first and foremost you need a comfortable bed. I will be quick to admit, before I slept on nice sheets, I had no idea what I was missing in the form of comfort! 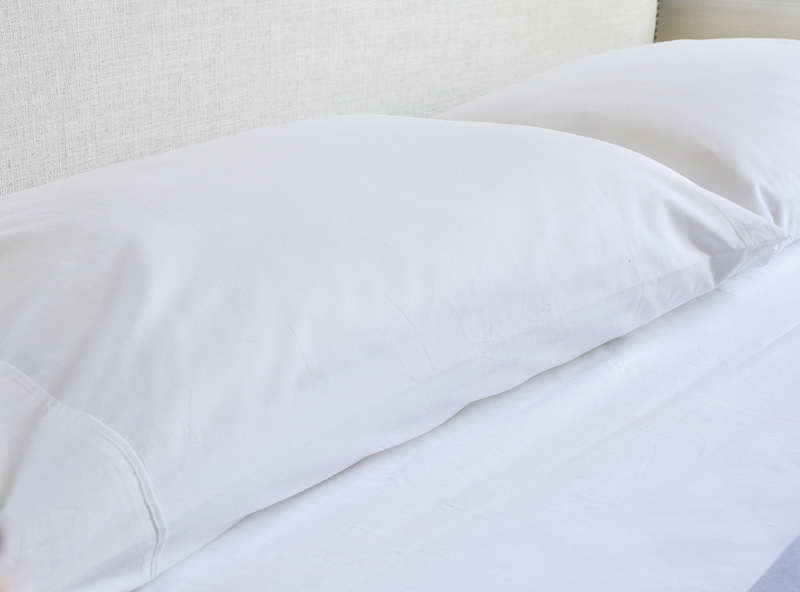 For a while now, I’ve insisted on quality sheets in our home, so when Under the Canopy approached me about their recently launched, softer sheets, it was easy for me to agree to try them. Let me tell you, they are fabulous. 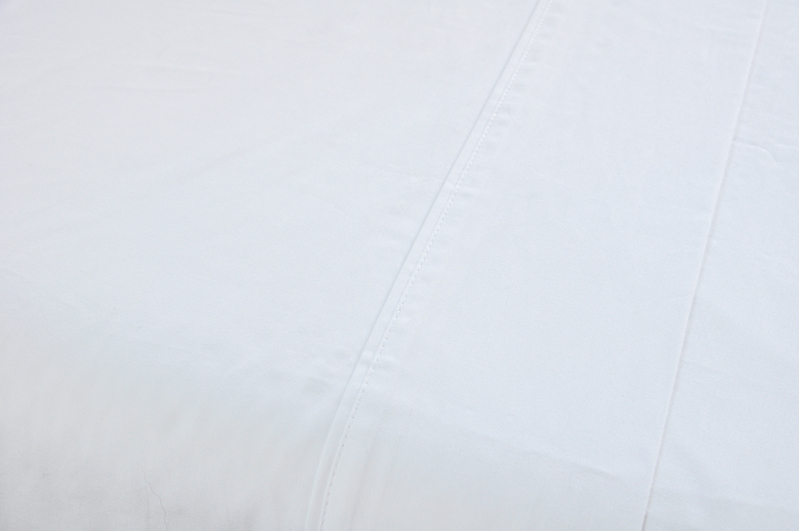 I realize I mentioned sheets above, but they are such an important part of your bed. As I said, comfort is key! 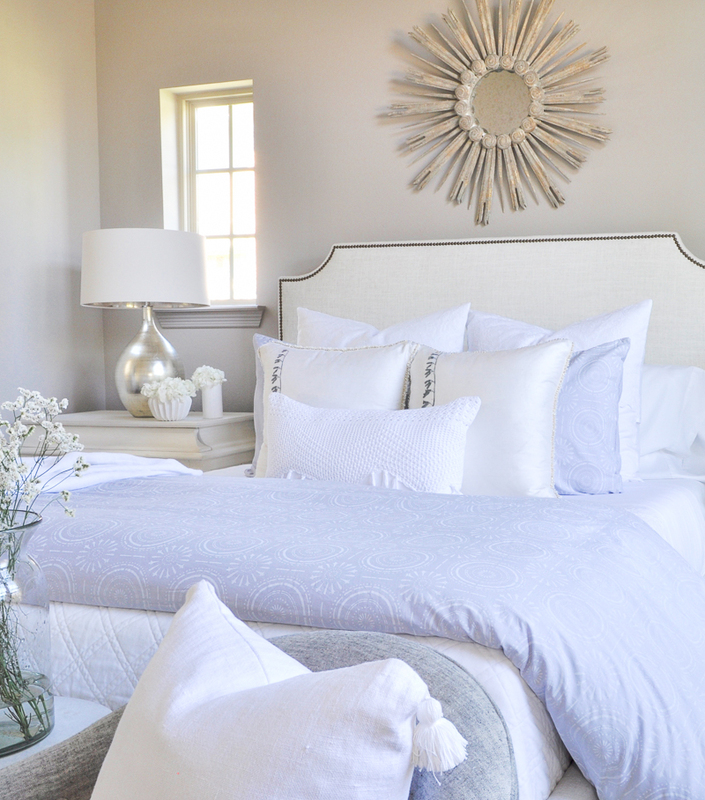 Beyond that, I always use white sheets in our home. 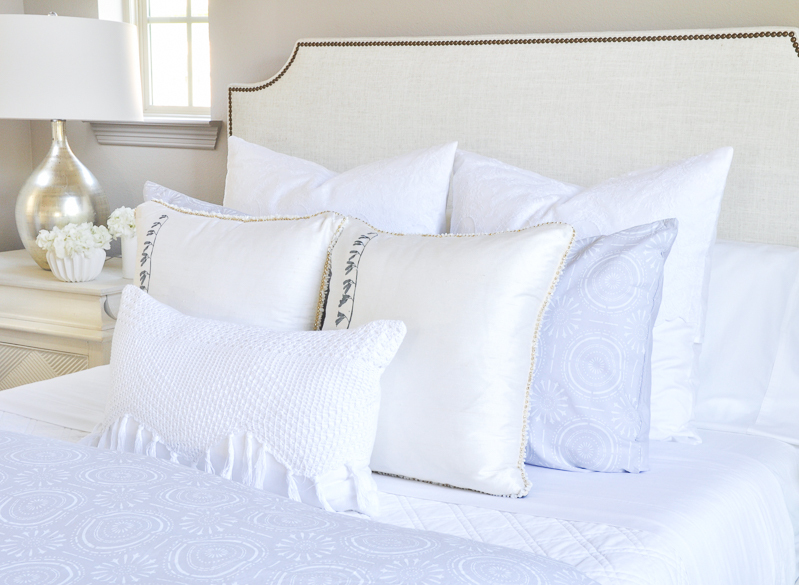 They are timeless and allow you to easily mix in any color decorative pillows. My sheet set includes a flat sheet, a fitted sheet, and 2 standard pillow cases. It is nice to have your sheets show when your bed is made up, so beauty is important as well. As you can see, they look great! 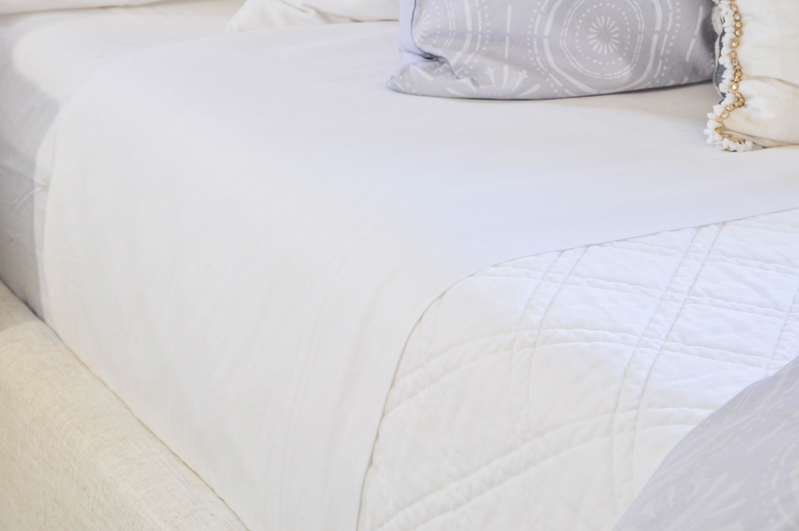 A coverlet or quilt is the bedding piece that typically covers the largest surface on your bed. I like to keep this piece white for a classic, clean look. 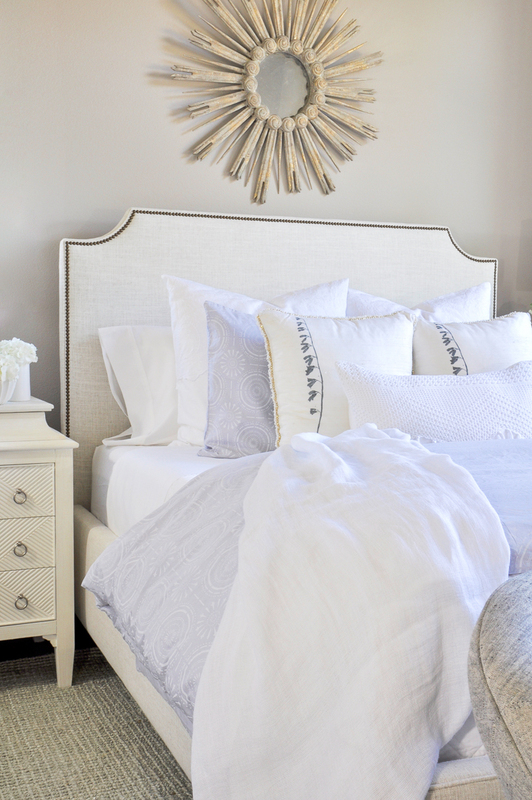 Beautiful, oversized throws are a bit more popular than they once were. 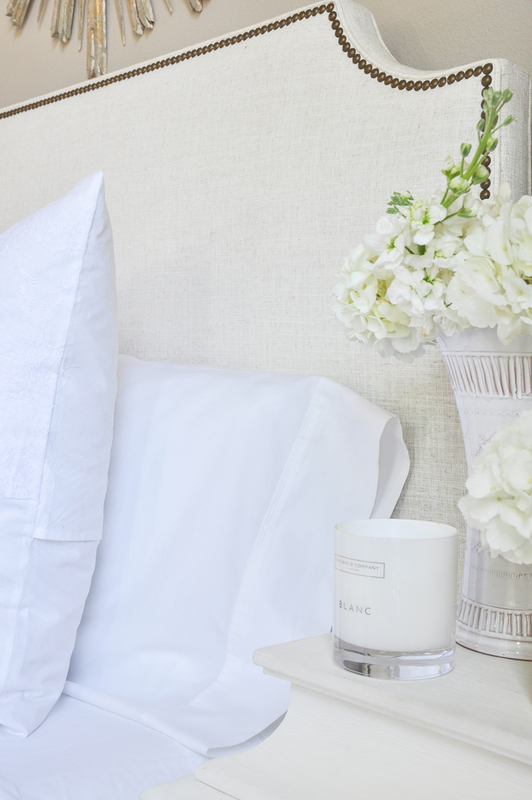 While standard sized throws are still most in demand, try mixing in an oversized throw to change things up a bit. It will provide a dramatic statement at the end of your bed. For this look, the pop of color I chose was a light lilac. I simply added color with a duvet cover and standard shams. They are also by Under the Canopy. I love how subtle the lilac color is. It’s perfect for spring and summer! 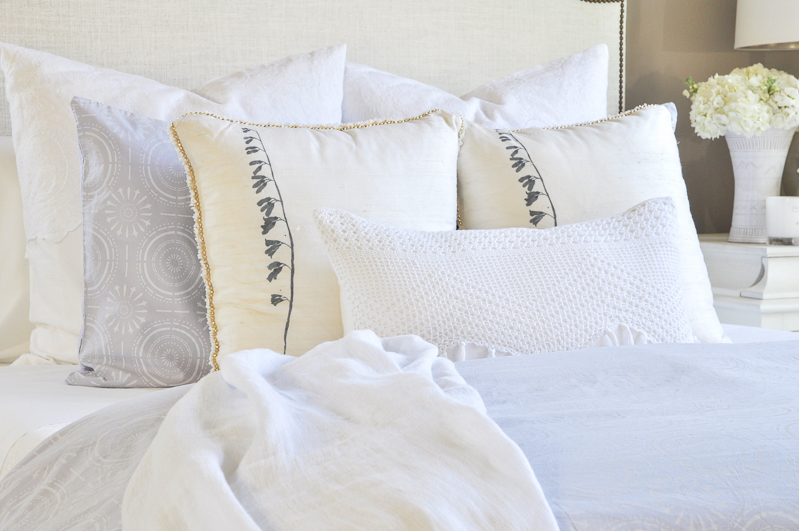 Tassels, fringe, pom poms, and textured fabrics are all wonderful bedding choices. I often add texture by using a cute lumbar pillow like the crocheted one I used as the front pillow. An important side note about Under the Canopy….. protecting the Earth is extraordinarily important to them. They hold themselves to the highest production standards of sustainability. Thank you for stopping by! I hope you’ll stay connected by subscribing to our newsletter!